Charlotte, NC (May 3, 2018): Central Living by David Weekley Homes, the high-density division of David Weekley Homes featuring luxury living in prime locations, is celebrating the grand opening of its model home, The Trinity Paired Villa, in Belton Street with a special event between 11:30 a.m. and 2:30 p.m. on Saturday, May 12. Tour the newly-opened model and pick up a drink ticket at 438 Belton Street and then hop on a bike for a tour of Belton Street and nearby amenities, including several breweries. Attendees can redeem their drink tickets at Lenny Boy Brewing Co. along the way. The Trinity Paired Villa is two-story, 2,900 square-foot attached home with three bedrooms, two and a half baths and a two-car, front-load garage. The model home also includes a covered porch at the family room and a balcony off the owner’s retreat. Belton Street features both paired villas, priced from the $530s, and single-family homes, priced from the $690s, and is close to nearby shopping, restaurants and nightlife in Uptown Charlotte and South End. Residents are within walking distance to the New Bern stop on the LYNX Light Rail and have easy access to Interstates 277, 77 and Charlotte Douglas International Airport. Students attend Selwyn Elementary, Selwyn Middle and Myers Park High schools. 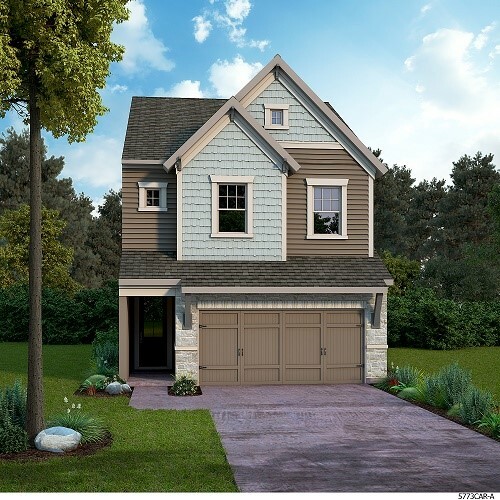 For more information about Central Living by David Weekley Homes in Belton Street, contact 704-972-4222. The Trinity Paired Villa is now open for tours in the Central Living by David Weekley Homes community of Belton Street.